Just managed to upgrade to R2. I'm having the existing TS bomb out before the HTA dialogue is displayed. I'm still using the 2012 SP1 TS as a base rather than the R2 one. Rather than import the R2 one, as I have made a lot of changes to the existing one, are there any sections in the SP1 TS that could cause this to stop working with R2? Are there specific sections I need to change? If there's not much, could it be possible to highlight these? If there are many differences then I'll bite the bullet and import the R2 version of the TS and start from scratch on it. personally i'd recommend you keep a backup of the current one and just import the new R2 one, there are quite a few changes to it and I don't have specifics on what those changes are, sorry. what error message do you see in the smsts.log when it bombs out ? OK, I'll go through them both side-by-side and pick up any changes. Hmm, the %GetComputerName% variable is not being set any more. The web service and CustomSettings.ini are still the same so not quite sure why this should no longer be working. I'll have to try some of the other functions and variable and debug. Any ideas? Yeah, that seems to have stopped working - not getting a name from what's showing in the log. Strange as it has been working. OK, I'll try and debug the web service - thanks. OK, not getting very far. I'm still not sure why this has stopped working. All the parameter variables seem to be there just the GetComputerName variable is not being generated and returned. Any reason why I can's use OSDComputerName? I'll try the 'change name' function and see if that works but I'm not really sure how to go about debugging this web service - they're quite new to me. hard to tell without logs, can you zip em up and attach them ? Which one would you like as the actual GetComputerName log doesn't have anything useful in it! If I run the GetComputerName script from the command line, the variable is returned blank. 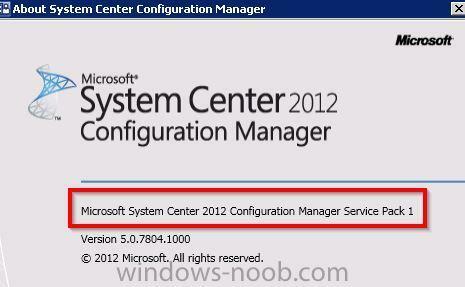 If I run the ChangeComputerName script, admittedly using the RIS web service instead, this does indeed work. I'll try running some more of the Maik Koster actions via command line to see if I can get any working. ....yep, other scripts are returning values so it's something specific to that one. Running the IsKnowntoSCCM script brings back a false though, which seems a tad strange as this machine has had the client installed on it for days, has received all relevant software updates etc. Bizarre. ok open a command prompt and do cscript.exe getcomputername.wsf do you see similar output to me below ? i.e. blank. Sorry, it's hard for me to show a screen dump at the mo, but I hope you get the idea. CustomSettings has been copied directly from your source but, obviously, with the HTTP addresses changed and these are correct so that file should be fine. So, I guess it's the web service. Is there an existing script that I can use to debug what's going on, one that doesn't require parameters for example? Think I've got it. Changed the user account used by the application pool and it now seems OK. Time for some proper testing......!! Firstly I'd like to say well done on the HTA, its very impressive and I would very much like to adapt it for our Windows 7 refresh. My (possibly first) question is around multiple refresh images. 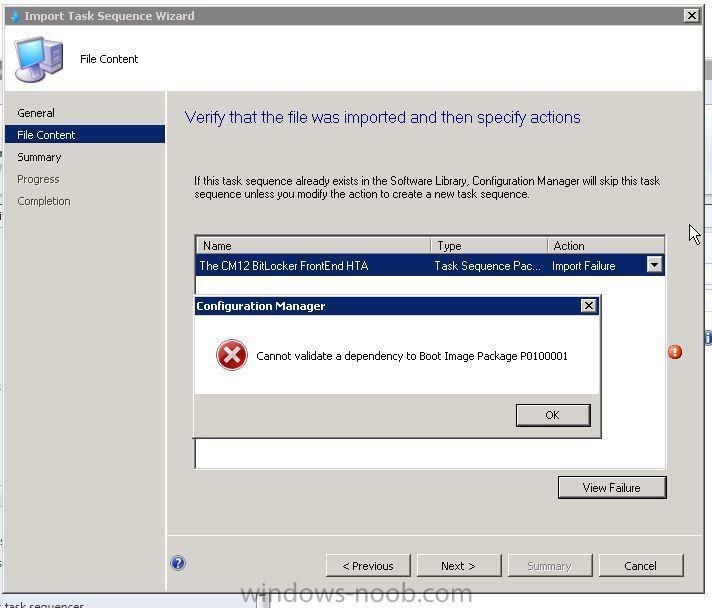 In our organization, we have created multiple sequences, that are chosen manually by the imager in WinPE depending on the requirement i.e. staff computer, client computer or a number of specific department builds. My question is can the HTA be (reasonably simply) adapted to perhaps to allow select of an alternate task sequence once the 'Refresh' icon is selected? Or perhaps incorporate the choice into the HTA sequence somehow? good choice and thanks ~! 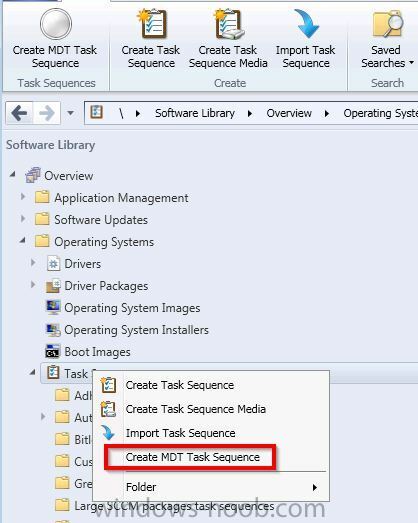 once you are in a task sequence, you cannot select another one, but you can reboot into another one, if that makes sense. Thanks for your suggestion, I've had a quick look at the approach of the multi-image HTA/TS and it could definitely help. The approach that I am looking for that would ideally fit our needs would be to link the 2 HTA frontends from 1 task sequence if possible. 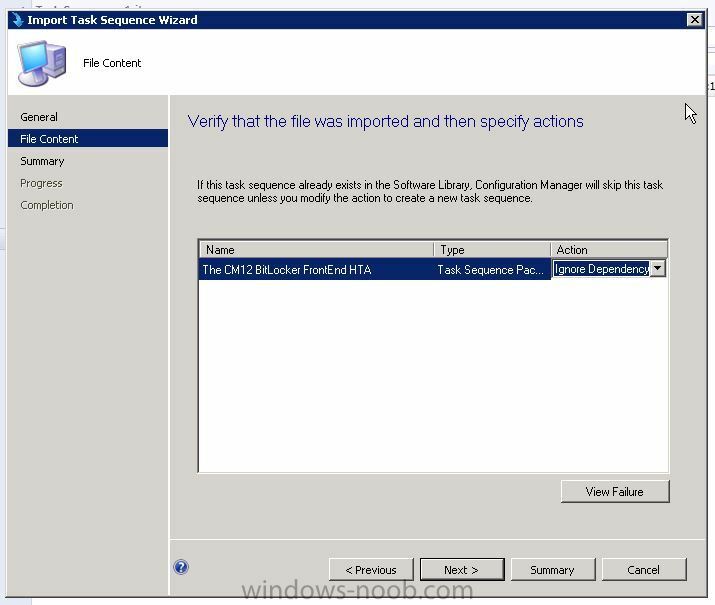 For example, run the Bitlocker HTA sequence as a "main menu", once refresh or new image is selected, this then runs the multi-image front end to select the required image. that's possible but why have two hta's when you can keep it all in one ? That would be nice but as a noob to HTA frontends, it would be easier for me to incorporate what is already available as much as possible rather than learn the coding and tinker with something I know relatively little about, unless it turns out it is pretty simple to pluck bits out of one and import into another? 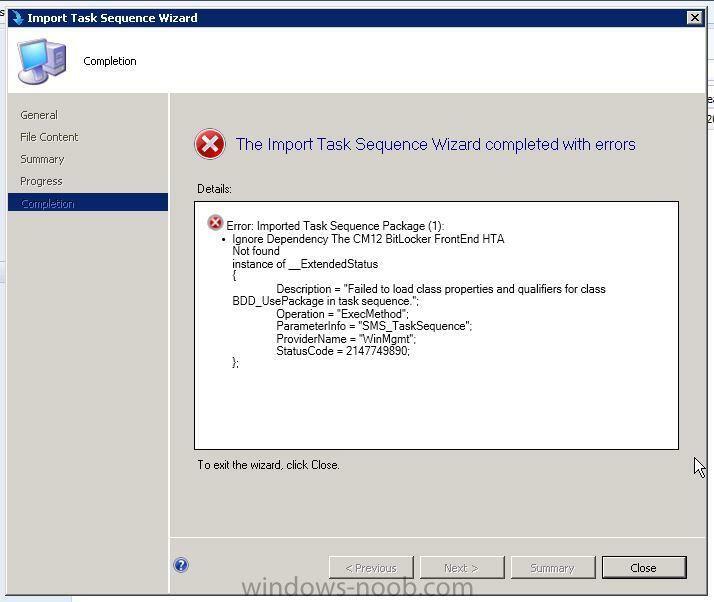 I get this attached error when I try to import this great task sequence in my SCCM 2012 SP1 server (using the .zip file in the SP1 folder). I followed the installation instructions and have done all other steps, what to do ?